First Light Home Care is holding a fundraiser to benefit The Walk to End Alzheimer's. 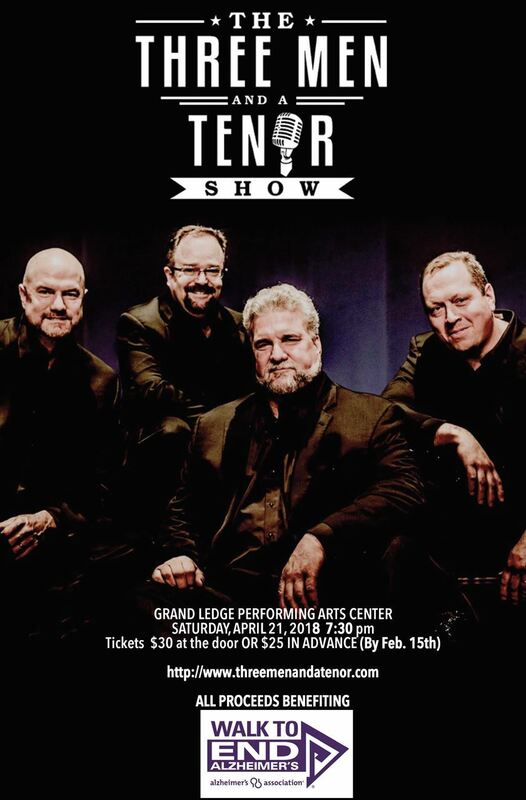 Three Men and a Tenor will be preforming! It will be held at the Grand Ledge Performing Arts Center on April 21st, 2018. The concert will be starting at 7:30 pm. Tickets are $30 at the door.